This Tokyo Life: A new maid cafe in LA? 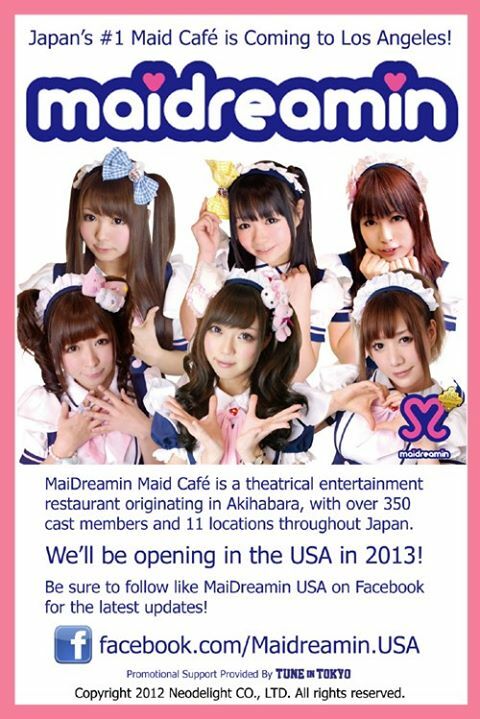 A new maid cafe in LA? The LA area has been going maidless since the closure of Culver City's Royal/T Cafe last July with the brief exception of Anime Expo. Now comes word that the Maidreamin chain from Japan plans to open a branch in LA in the Little Tokyo neighborhood. An exact date has yet to be announced, but you can get the latest updates on the Maidreamin USA Facebook page. Here's hoping they can capture the magic of Akiba maid cafes in a financially sustainable way.